In 2010, I was working with one of the most sought-after software companies not only in India, but in the world - Adobe. I liked the company, and I was doing pretty well professionally. I was an outlier when it came to being hired by Adobe - I wasn't an engineer or even an MCA when I applied in 2003. But my growth in the company had been quite steady. I was happy and content, but then suddenly my passion came calling. It struck like lightning and after that I never had any doubts in my mind. I knew that was what I wanted to do, and I knew it would work. I knew that the journey after that moment would be completely new and would surprise me at every step, but I also knew that I would do anything for this. I wanted to pursue my childhood passion of writing. And also help others pursue it. 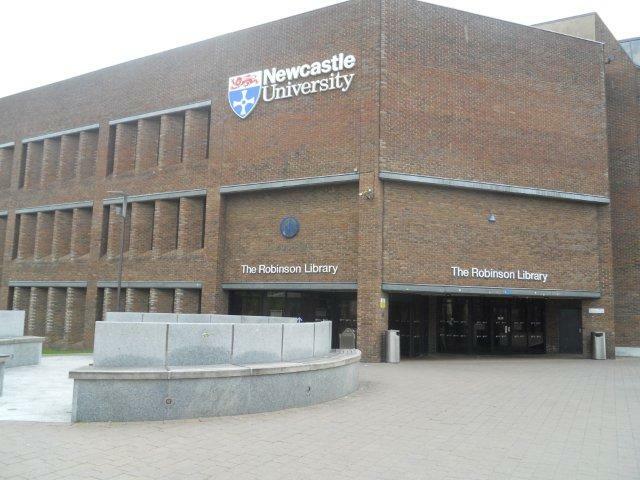 I went to the Newcastle University, Newcastle-Upon-Tyne, UK to pursue an MA in Creative Writing, and got a chance to learn from some of the best tutors in the world. I visited places where several authors I respect were born and experienced the landscapes that inspired them first hand. After completing my MA, I returned and took up a job in an international publishing house as an Editor. Not quite what my dream had been initially, but quite close. And here I am 3 years later. Am I pursuing my passion? Yes! I have established Literature Studio, which is what my dream was all about. Do I have any regrets? Some. The biggest being that I am sailing two boats today, which means that I am not giving my 100% to my dreams. Are there any challenges? Yes, plenty! And this is what I am going to write about today. This post is especially for people whose passion is about to come calling any time soon. Like in any story, there is black and white, and then there is the grey, and it is this grey that makes the story most interesting. After you quit your posh corporate job to follow your passion, you can either succeed monumentally, or you can fail spectacularly (I hope this does not happen to you, but when you are going to take a risk, it can lead you in any direction. That is why it is called a "risk"). This post is not about any of these. This post is about the people like me, who after following their hearts, are managing just fine and sailing steadily. It is about the challenges they face in day-to-day life. The Unending Questions: At every step after you have let go of your money making job, you will be asked "Don't you miss the money? ", "What made you do this? ", and also more blunt like "Are you crazy?". People don't ask you this to put you in a spot. In most cases, they admire you for your courage. I am glad that I was so sure of my decision that I have never had a doubt about it. If you are following your passion, you most likely will never have a doubt. But if you do have doubts, simply imagine yourself back in time, doing what you used to do before you quit. Recall the reason why you made the decision. Ask yourself if the reason is still true. And you will be back - confident and sure as always. Your Own Unrealistic Expectations: If like me, you spent a good decade of your life in your well-paying corporate job before you quit it, chances are that you will face this challenge, and this may turn out to be one of the biggest challenges you will face. You would have worked hard and reached a certain position in your previous job. You would have matured as an individual. You would have developed certain skills that only come with experience. But when you start your career anew, you need to start afresh. If you choose to join a job in this new field, your maturity and past experience may not be considered by your employer. You may have to report to people several years your junior. You may consider yourself fit to be promoted, but your new organization may not be able to see eye to eye with you. You may expect fast growth, but your organization may not be willing to make an exception in your case. You may end up feeling that you are not being appreciated for the work you do and the maturity you display. If you choose to start anew, be prepared to face all this and be brave enough to keep your chin up when such things happen. Never loose sight of your goal and stay positive. Keep reminding yourself that you are prepared to deal with this challenge, and that you took the step knowing that this could happen. And, above all, don't let this make you regret the brave decision you took. After all, if you get to do what you want to do, some delay is worth it. And if the delay is longer than reasonable, there are always other organizations you can move to. Yes it is a risk! But you are definitely not scared of taking risks. And God knows that risks have suited you in the past. The Instinct to Stay Safe: Even after you have taken the plunge, there is always that urge to grasp at straws. This instinct will always try to persuade you to follow the safer route. If you want to realize your dreams, resist this urge. Let go and put yourself at stake. If you have taken this step, give it your best chance. If your dream is to venture out on your own, don't accept a job without giving your dream a fair chance. No one can guarantee your success, and the truth is that you may fail. But without giving it your best try, you will never find out. And failure isn't bad. Even the best plans don't work out at times. It isn't your fault. Don't be too hard on yourself. Understand that if it weren't for brave people like you, we would still be living in the stone ages. Read Jonathan Livingston Seagull. Accept that you failed, and accept that you are still wonderful and much wiser than you were earlier! Then recall your Plan B, and love it as much as you loved your Plan A. Advice and Suggestions: Most of us resent unsolicited advice. But I have come to accept that this resentment is unjustified. People who care for you won't be able to keep their suggestions to themselves, so don't even suggest that. And be grateful for their love. Stay focused on your goal, and your goal will always be able to help you understand which advice aligns with it and which doesn't. Don't disregard anything. If possible, keep a note of all the advice you receive, and note down why you think it aligns or doesn't align. You never know, these notes may come handy some time in the future if the situation changes. Ghosts of the Past: Even if you are having a blast in your new role, there will be times when you will miss the old organization, its culture, and your colleagues. If you are facing this challenge, the best way is to stay in touch with your previous organization. Keep meeting your ex-colleagues. Invite them for dinner, share a drink with them every now and then, and this will go a long way in keeping nostalgia at bay.